Join us for our next Super Tuesday, on April 2nd @ 7 p.m. in the Burgess Community Room with local spellbinding storyteller, Christopher Leebrick. He'll captivate the whole enitre family with tales of adventure and enchantment with his program entitled, "Snip, Snap, Snout, the Tale Is Told Out!" Come prepared to be entertained! For all ages. Wimpy Kid #8 is coming! News Flash!!! I just learned that A Diary of a Wimpy Kid Book #8 will be publihsed this coming November! I don't know the title of it yet, but I am keeping my eyes and ears peeled in the mean time! For more information about this release, visit this Press Release from publisher Abrams Books. One of our favorite traditions is coming right up! Every Spring Break we celebrate the freedom of no school with All Ages Anime. Looking for something to do on Friday the 29th? Join us for a screening of the beautiful and gentle Studio Ghibli film Kiki's Delivery Service (rated G) from 2-4 p.m. in the Burgess Community Room. All are welcome to watch the movie, munch on Japanese snacks, get creative with crafts, and compete in our broom relay race. Thinking about doing some hiking or camping with the family during spring break or this summer? Or perhaps just hanging out locally? John Kallas, author of Edible wild plants: wild foods from dirt to plate will be presenting on Tuesday, March 26th, from 7-9 p.m. in the Burgess Community Room. Learn to identify, harvest, and prepare nutritious, delicious edible wild plants found in the wild and that can also be found within walking distance of your kitchen. Kallas has been teaching about edible wild plants since 1978. This event is for adults and books will be for sale at the event. Anthony Browne, who creates a lot of picture books with monkeys and gorillas in them has a brand-new book out called, One Gorilla: A Counting Book. Inside you'll find large numerical numbers and font sizes to match the expressive color palette of one gorilla, two orangutans, three chimpanzees, four mandrills, five baboons, and more primates, all the way up to the number 10, as each creature takes on their own unique personality. Youngsters will love the large scale illustrations along with a self illustrated portrait of the illustrator himself. The book concludes with a large portrait of many people representing a wide variety of ages and ethnicities, just as there are primates. What can be better than animals in a counting book? Drop in to work on your creations with other LEGO funs! We'll supply the building blocks, you bring the creativity! 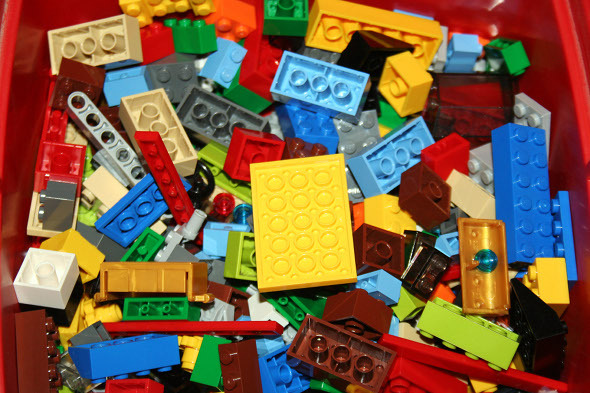 Our next LEGO® Construction Zone will be on March 24th in the Puett Room at 1:30-3:00 p.m. Ages 4 and up are welcome to come play and build. See you there! Did you know that March 20th is The Very Hungry Caterpillar Day? That's right! It marks the 44th anniversay of when the book by Eric Carle was first published, back on March 20, 1969! Read the book today then start the countdown for spring to arrive! 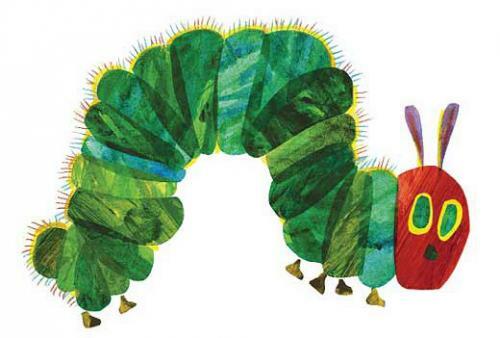 Happy Very Hungry Caterpillar Day to you and yours! I've just come across a great brand-new picture book. It's called I Spy on the Farm by Edward Gibbs. With a circled cutout in the middle of the book, readers get a glimpse of an animal eye along with written clues to guess what animal is being described. Then when you turn the page, see what animal it is. This book provides lots of interactive oportunities for parent and child, such as making animal noises, practicing colors, learning to regognize animals, plus guessing games too. It's a perfect book for toddlers!! The Trains picture book list has been completely updated. Check out all the great titles we have for your preschoolers on this popular subject. Join us for our March Super Tuesday event with the Washington musical group, The Harmonica Pocket! They will be here to present their Get Loose With Seuss Show, so you know it's gonna be good! And since March 2nd is Dr. Seuss's birthday, we'll just keep celebrating Seuss with a bunch of silly songs, dances, and imagination games set to music. Elementary School aged children are eligible to vote for their favorite. However, they need to have read atleast two (2) titles from the list in order to vote. A voting station will be located in the children's room March 15-April 10. 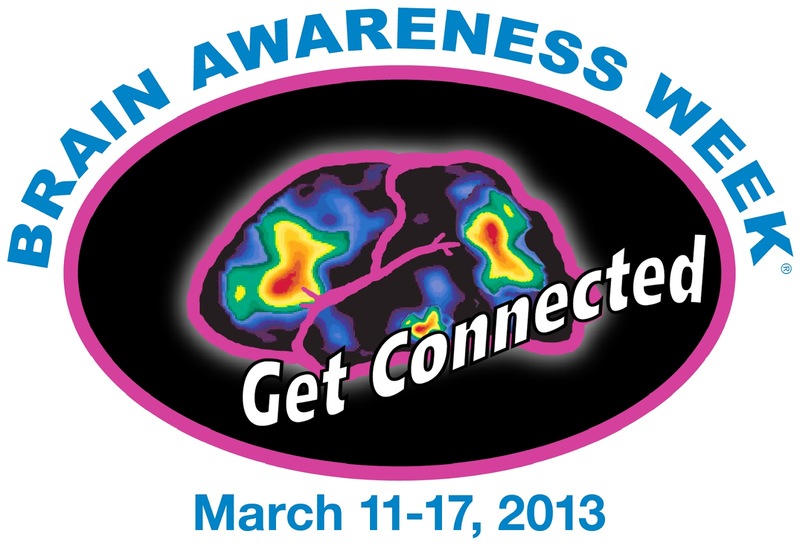 Join our second annual celebration of Brain Awareness Week on Sunday, March 17 at 1:30 p.m. in the Puett Room. Give your grey matter a workout with mind-boggling brainteasers, sense-sational adventures and crafts for kids of all ages. In this story, a girl named Rosie wants to help her parents pay the bills. How can she help? She only has a box of used ice-pop sticks. Parallel to Rosie's wish, one ice-pop stick in particular wants to do something "big." But what can it do, it's just and ice-pop stick? However, there is magic in wanting to do something really important. And so, at the stroke of midnight, Stickerino is born and he and Rosie are off on an adventure! This story captures the essence of a child's ability to believe the impossible is possible. Did you hear that there will be a new Nancy Drew and Hardy Boys series of books coming out soon? That's right! While they've been enteraining kids for more than 80 years, America's favorite sleuths will be back solving mysteries by using their wits, powers of observation, and deductive skills. We've got the first four books on order as we speak, so go ahead and place your holds now to beat the rush! Oregon Readers Choice Award Voting Time! March is the month to vote for the 2013 Oregon Reader's Choice Award winner! Every year, members of the Oregon Library Association compile a list of great books for upper-elementary, middle school and high school readers. Students in grades 4-12 can vote for their favorites in each division. All they need to do is read at least two of the books in the division(s) they are voting for. Have your kids stop by the Children's or the Young Adult room t day to fill out a ballot voting for their favorite books from the list of nominees. We usually select ORCA nominees for our Super Readers and BookTRON book discussion groups, so if your progeny are part of either of those groups, they've read some of these books! A Year-long Celebration of Picture Books! Recognize the librarian starring in the video above? Our own Miss Janet is featured in Candlewick Press' year-long celebration of picture books. Every day a new video will be posted featuring a Candlewick author, illustrator, staff member or friend who will share their favorite book or talk about why picture books are important. Click through to see what has been posted so far, and keep checking throughout the year. They will post a total of 365 videos, and you can even submit a video of your own to join the party! 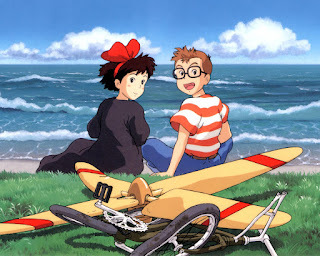 Janet chose to share one of her favorites (and mine) Guess How Much I Love You. What book would you share? 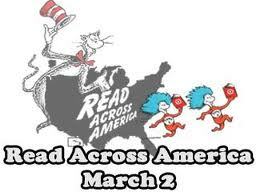 Happy Read Across America Day!!! Today is March 2nd which honors the birthday of the late beloved children's author, Dr. Seuss. Why not read a book today? Or even better yet, read a book to a child! Need suggestions? Stop by the library and children's librarians will be happy to assist you in locating the perfect book! And to top it all off, we're having a Dr. Seuss Read Across America Day celebration at today 2pm in the Puett Room full of Seussical stories and crafts. So have fun with a book today!